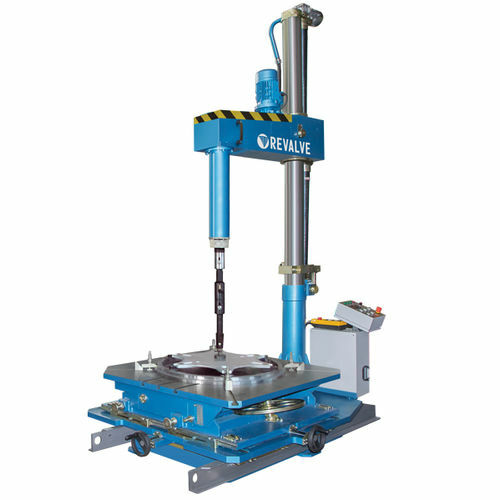 • machines are designed for grinding and lapping of the flat sealing surfaces of the housings and wedges of the gate valves, housings and spools of the stop valves (globe valves), safety valves and other flat surfaces. The tilted table with adjustable tilt angle simplifies the installation procedure and allows machining of sealing surfaces at various tilt angles. The coordinate device ensures the part installation by three coordinates (tilt angle and positioning with respect to the x and y axes). To make installation procedure of workpiece more simple the column can turn on 290° relatively its base. Digital indication of spindle rotational speed is provided. The tool drawer unit allows to store replaceable accessories. Uniform lapping plate and the adapter with eccentric allows to achieve high flatness of the surface.